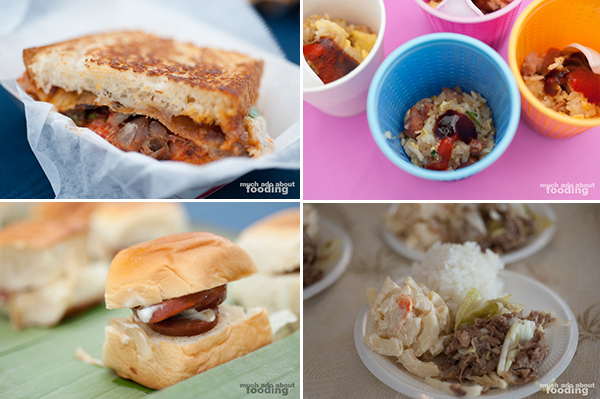 "We're about the culture and the spirit of aloha and sharing that through food." 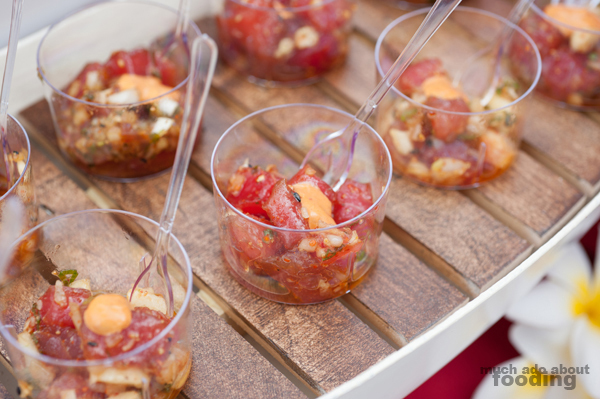 The budding love that Orange County has grown for poke, an iconic Hawaiian dish, and the rapid availability by which the specialty has become available in the area may be recent but the "I Love Poke" Festival already hit its four-year mark this year for Orange County. A festival all about poke? Count us in! We have enjoyed it since our very first bite, and our trip to Hawaii last year only cemented our desire for poke. 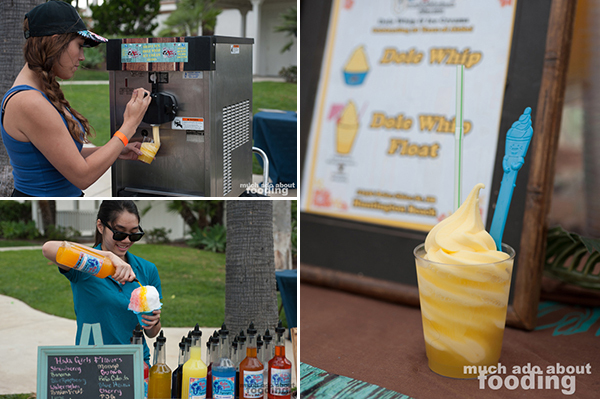 The tasting event and chef competition took place Sunday, June 28th at the Hilton Waterfront Beach Resort in Huntington Beach, selling out its 500-person capacity and supplying attendees with high-caliber bites of fresh seafood goodness made by 11 competitive chefs. "People weren't jumping at the opportunity to get it from a restaurant. Ordering poke as an appetizer is not the same as ordering poke when you're in Hawaii. I wanted to supply the demand and didn't want to open a restaurant. I just wanted to have a big poke party." Once word got out that a poke festival might happen, chefs started claiming their interest as they loved the dish itself but didn't have it on their menus. 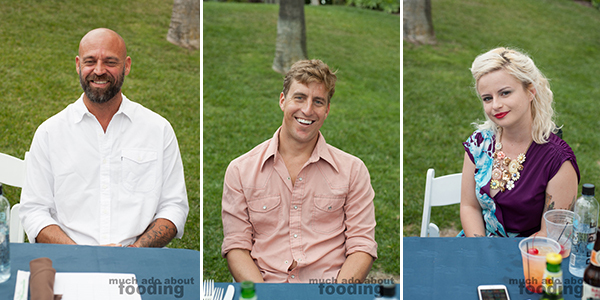 "Chefs were super stoked on a new type of tasting event that they've never been able to participate in before, something that's based off a culture that is affiliated with their best memories - vacations, weddings, etc." It was destined to be a hit from the get-go, and as we saw on Sunday, everyone loves it. Not only is it a tasting event for the masses but there is also an element of competition among participating chefs. 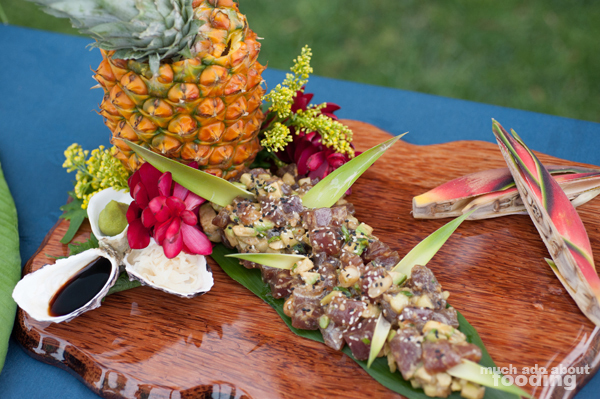 Small bites are available for attendees but larger, beautifully-set presentation plates are shown to guest judges who then taste and evaluate poke dishes based on quality, flavor, and plating. 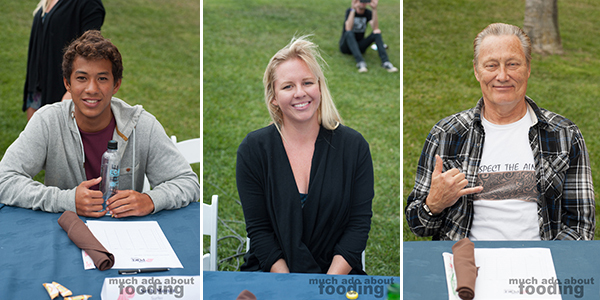 This year's six guest judges must have had a difficult time selecting a winner as all of previous year's first places winners came back to compete. Having known what it's like to win the title of poke champion, the incumbents were hungry for it again. Are there guidelines to what dishes they can bring? "No. We have to let creativity shine through. 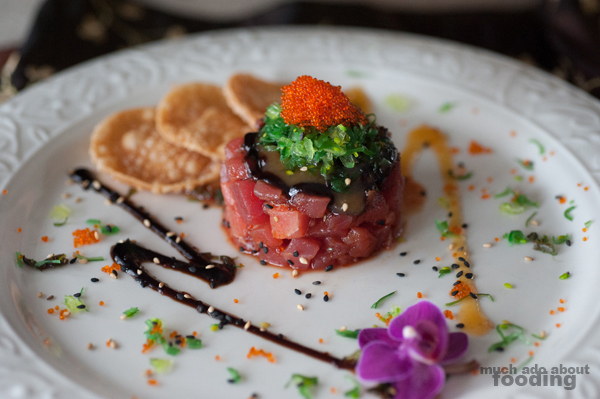 Poke is a simple dish that is very easy to overdo. Putting a little too much citrus becomes a ceviche. You have to give room for people to interpret poke as they think that it is. 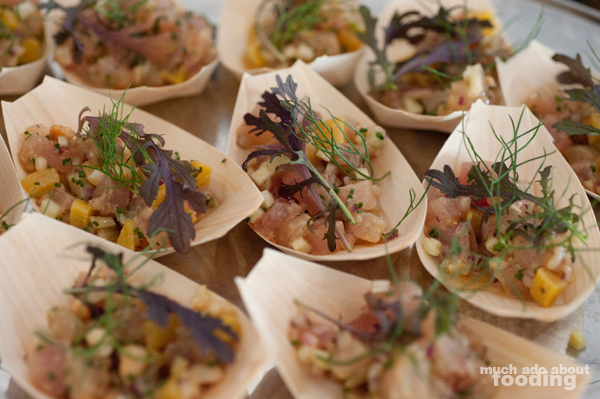 In regards to type of fish, one of our third place winners last year was a watermelon poke with a coconut cream. The recipe blended and melted in your mouth so well with grated fruits as the texture of a seaweed. It was amazing." The artistic sides of chefs came out as we walked along the tables. 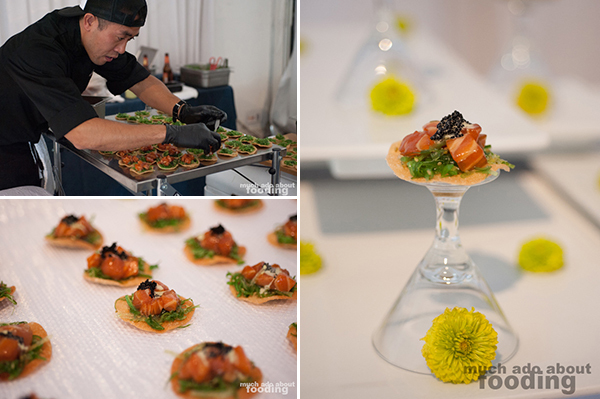 Chef Vu Nguyen of Sushi Studio Arts balanced crisps of salmon poke, wasabi, and caviar upon bottoms of short cocktail glasses on a table scattered with bright, yellow mums. 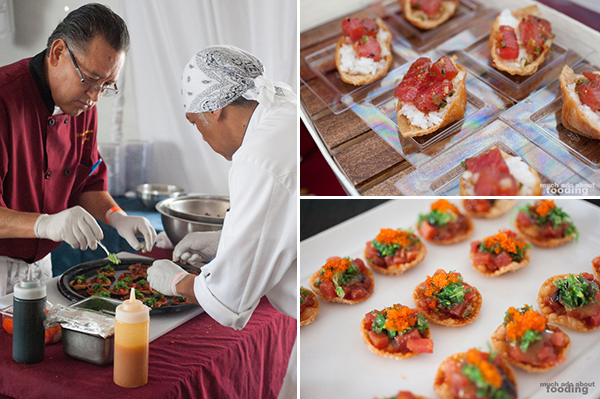 Chef Renato Sampaga of Stadium Brewing Company paired his "Chaka Poke" made of ahi, sake reduction sauce, balsamic reduction, habanero, seaweed salad, and tobiko on top of a wonton crisp with a blueberry lager. There was the "Magic Pillow" poke made of big-eye tuna, green and white onions, Japanese chili, Hawaiian sea salt, crab, and smelt egg inside inari at another station. Not only did the dishes look appetizing but the eateries truly embraced the Hawaiian cultural feel with their table settings as well, making use of plumeria, other tropical flowers, wood, and boats. One dish of note that we enjoyed was from MRK Public from San Clemente which featured an albacore tuna poke with wakame, pickled red onions, scallions, toasted sesame, fried garlic, and nori with taro chips. 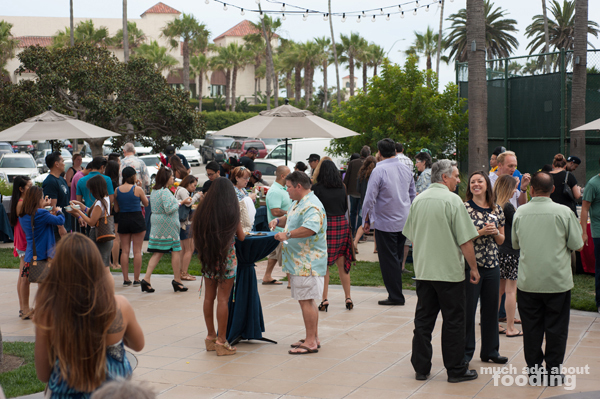 Other chefs presente included Shawn Gole of North Shore Poke Co., James Harris of 370 Common, Andy Tanaka of Roy's Newport Beach, Chef Ben LeFleche of Shades Restaurant & Bar, Peter and David Cho of F.I.N.S Poke, and Julio Hawkins of Fly-N-Fish. What kind of Hawaiian themed gathering doesn't include copious amounts of food though? 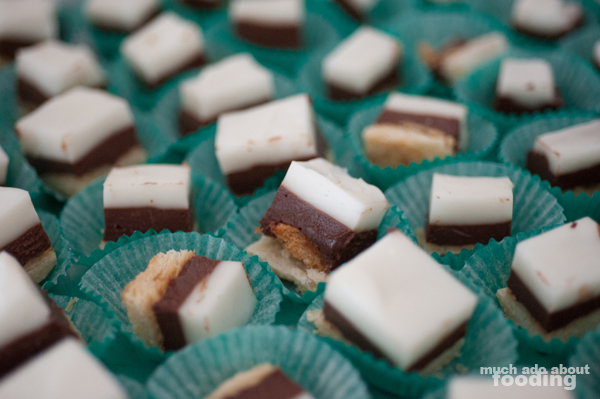 Despite a focus on poke, other dishes and treats were available for attendees as well. The Minotaur Korean BBQ Kimchi Grilled Cheese from San Diego's Supernatural Sandwich really got many people salivating with its cheesy savoriness. 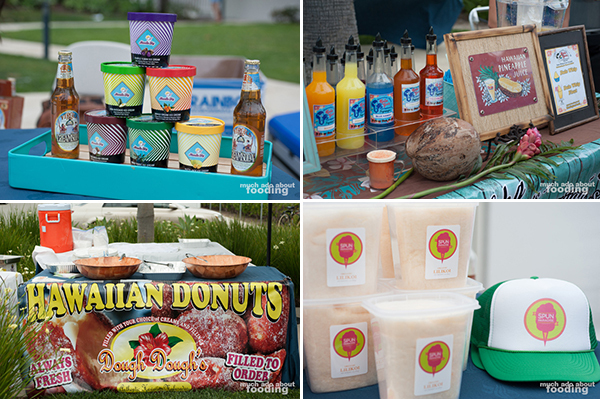 Others dug swiftly into spam fried rice, spam sliders, and kalua pork while some headed straight for sweet tooth fulfillment via haupia pie, ginger beer floats, Hula Girls Shave Ice, Dough Dough's Malasadas, and Spun cotton candy. 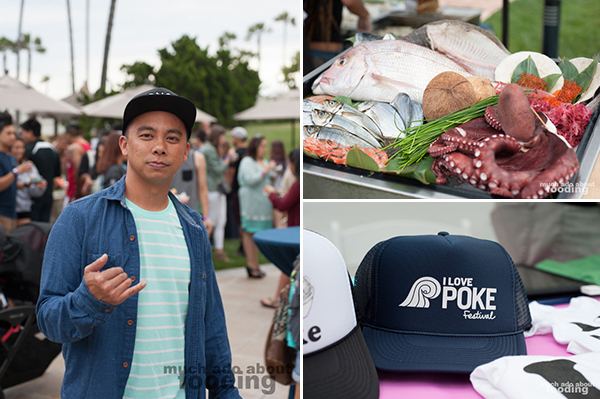 The vibe of the I Love Poke Festival felt just like what Nino had noted he was striving for - a feeling of aloha and ohana, where togetherness was the main idea but with good food to boot. 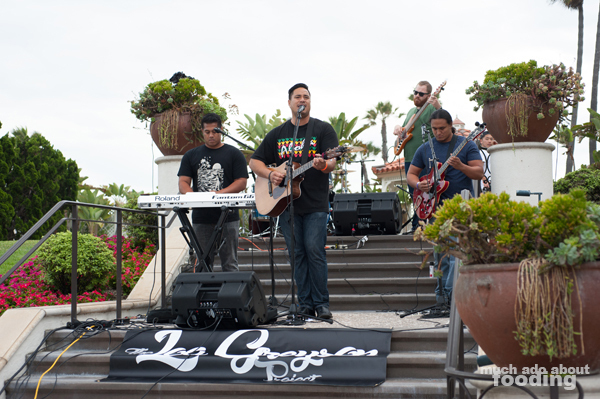 Guests enjoyed live music from Loa Greyson and other performers throughout. It's easy to see why the event keeps on for years. Though there are plans in the future to expand to other notable cities such as Los Angeles, Seattle, San Francisco, and Portland, the main focus for the organizers at this is to make sure that the event model will last. Nino noted that now that seafood has more attention on its sustainability and that poke is on an upswing, it can only get better from here on out. As for the reveal, who won? It just so happened to be the one that was our favorite as well that evening. Chefs Chris Aure and "Big Mike" of Zarlitos Restaurant in San Diego won the 2015 San Diego festival competition and came up to see what Orange County could compete with; the answer was "not enough" because Zarlitos took #1 here as well. Their spicy poke included yellowfin, prepared with Yellowfin tuna, minced garlic, chili flakes, roasted black sesame seeds, green onions and chili oil. We especially enjoyed the touch of crunchy minced garlic on top of the large chunks of beautiful tuna. 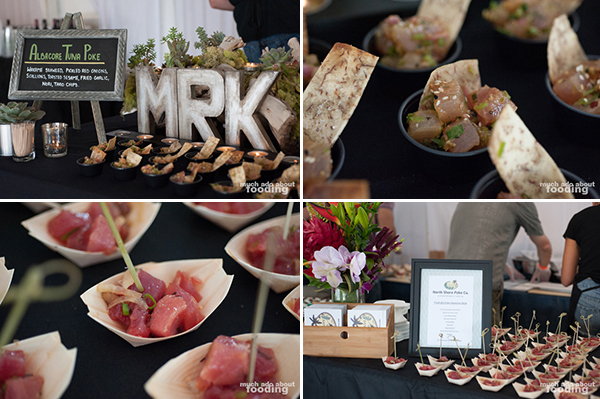 Second place went to Chef Maui Canosa of True World Foods whose dish was quite the medley - it included lilikoi-infused Kiawe smoked New Zealand salmon, fresh organic lilikoi, cucumber, red onions, chives, honey, togarashi and mirin. 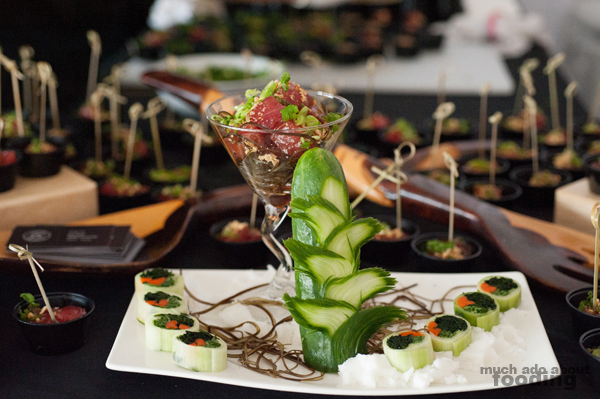 Third was a tie between Chef Hiko Hori of Good Choice Sushi and Chef Vu Nguyen of Sushi Studio Arts. If all of this has been enticing to you as well, you'll have to catch the next one! Find out more by visiting www.onoyum.com. 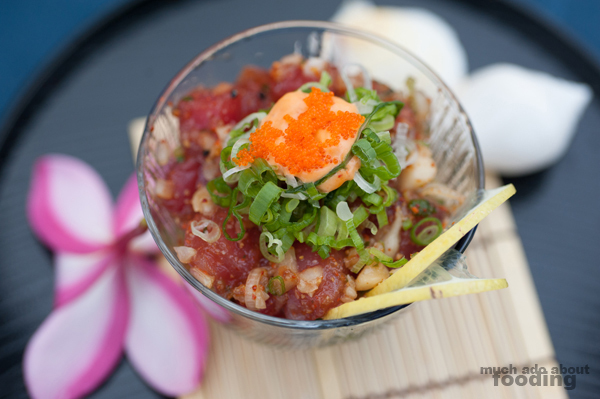 Mahalo to all who shared their passion for poke with the rest of us!